Elsner Technologies Pvt. Ltd is a web development, design & SEO company in Sydney, Australia. 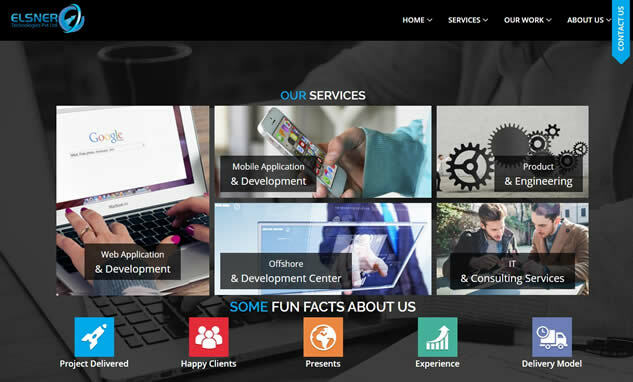 With an employee strength of 120+ qualified and experienced designers and developers, we provide wordpress development, magento development, digital marketing services and host of services to our clients which includes. Elsner is Australia’s leading web development and digital marketing agency; specialising in Magento web design & development, WordPress website design and development, mobile app development and digital marketing in Melbourne and Sydney. Hire Magento developers Sydney, WordPress developers from Elsner Technologies Australia.